We went on a dry picnic yesterday to Punakha. But of all the days yesterday wasn't a day to joke with the idea of remaining dry in all senses. We took a potable swimming pool for kids to enjoy their holy bath but seriously I didn't expect the pool to take three fathers and 70 buckets of water from Puna Mo Chhu to fill it up. Our plan was to leave the pool in the sun to warm up before letting the kids in but they won't understand the kindness behind our unkindness. They got into it even before we could fill it up.They had no idea that the river just came from the glaciers and it's ice cold even when it flows down warm valley of Punakha. The cold water however couldn't stop them. They played in it until they turned pale and their jaws froze. But they still hated the idea of getting out of it. So we have to force dump the water out of the pool before kids suffered hyperthermia in the name of holy bath. The conclusion was two angry kids. They had the thruelbub of their life time. And of course we parents had ours best watching them with temptations to jump in with them. At this age it lot more fun to jump in glass than in swimming pool. We parents had our share of stolen moments of romance. 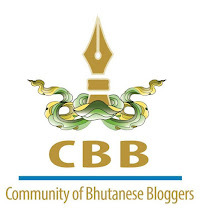 NOTE: If you are in Thimphu Tomorrow Evening (Monday, 23rd Sept.2013) Please care to turn up for Blogger Meet. Place and time will be confirmed on Blogyul Facebook Page. Sir...i can see through the snap shot of you and your madam that parents did really have a stolen moments of romance which we tends to forget after we become parents.You all really had great day yesterday sir. Sir, i really like your kindness for loving kids, students la. moreover, I'm really amazed by your love and care for Jigme.